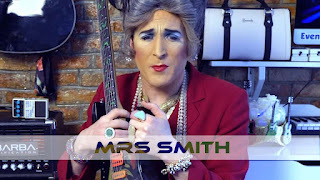 Mrs. Smith: Help Mrs. Smith Finish Her Album! After you pledge please consider sharing the campaign with friends and colleagues! 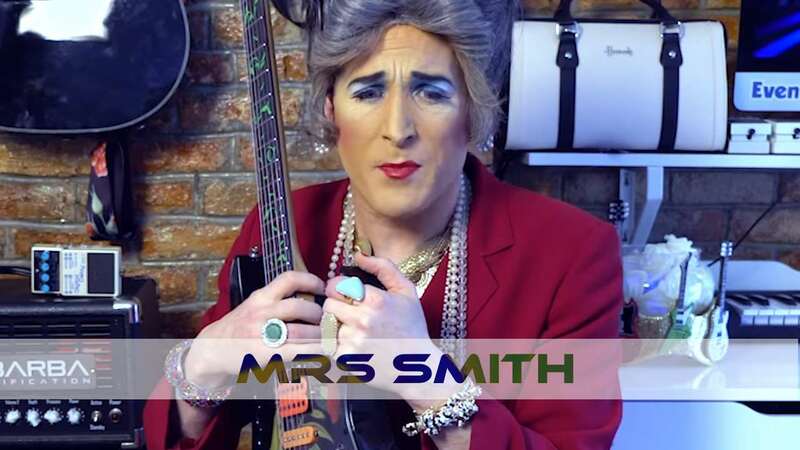 Mrs. Smith is the 2016 winner of the “Shred for Your Life” contest held at Webster Hall and was a featured performer at the Guitar Gods Festival in Miami opening up for guitar legends Yngwie Malmsteen and Steve Vai. A video of her shredding on the streets of the East Village was shared by Guitar World Magazine and garnered 1.2 million views. Her unique blend of musical performance comedy has been featured on NBC’s America’s Got Talent, PBS Television as well as Joe’s Pub, American Repertory Theater and Berkeley Repertory Theater. She has also been seen at 54 Below, First Avenue, Webster Hall, Ars Nova, The Laurie Beechman Theater, Upright Citizens Brigade Theater, The Bell House, Union Hall, and the legendary Bushwig Festival, among many others. “Mrs. Smith’s Broadway Cat-tacular!” wow’ed audiences Off-Broadway and was hailed by the New York Post as “Purrfect!” Mrs. Smith’s performance described as “Off its meds” by the Boston Globe, “Luminous” by Gay City News and “Oddly poignant…” by the New York Times.